Campsite is located under large Live Oaks along the bank of Jumping Gully Creek. This campsite has a pavilion with 2 picnic tables, two fire rings, benches & a portolet. 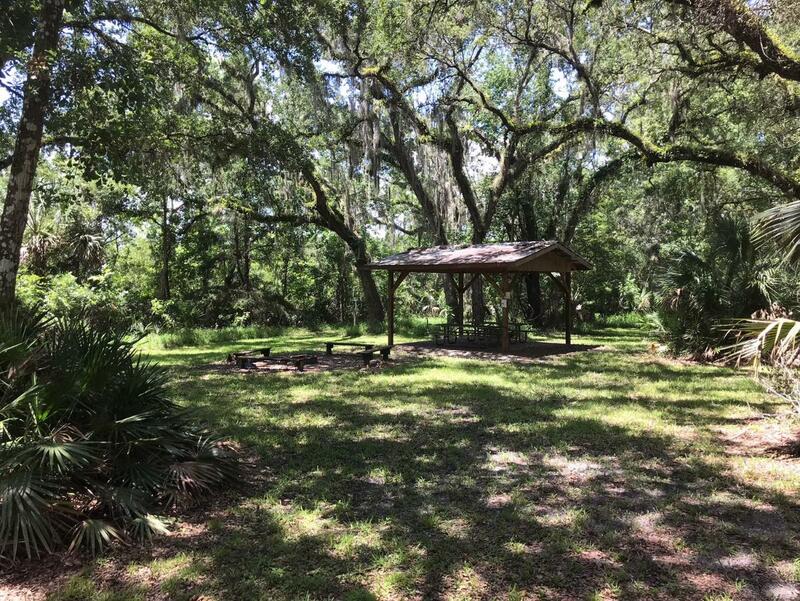 The address to campsite is 359 S, Georgetown Point Rd., Georgetown, FL. Gate access is located on Truck Trail 2 (Union Bag Trail), approximately 4 miles north of County Road 305 (Lk. George Road) & 2.5 miles west of Seville. Jumping Gully campsite is within the Lk George Wildlife Mgmt Area. During hunt season (no camping during the General Gun hunt season) this camp area is split into 4 campsites so 4 groups of up to 6 people can camp, so you would be sharing the amenities and the pavilion with others.